512pp with printed paper case. Design and origination. 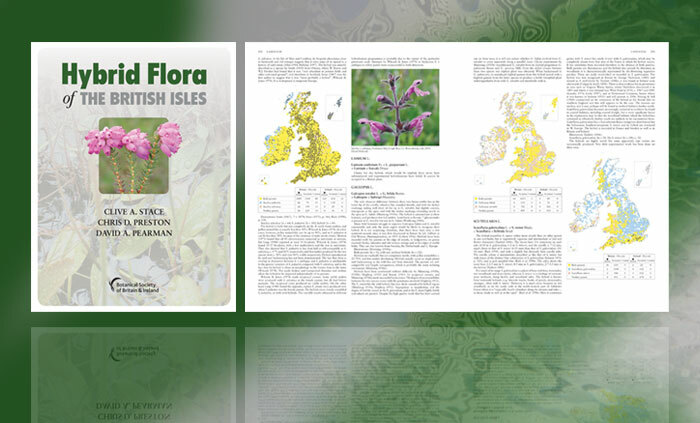 Hybrid Flora of the British Isles is an essential work of reference for botanists seeking to identify hybrids in the field, for evolutionary biologists investigating the significance of plant hybridisation or its contribution to the spread of introduced plants, for conservation biologists seeking to protect our biodiversity and for all those teaching about these topics. It both summarises existing knowledge and highlights some significant gaps in that knowledge which need to be filled by future research. As Professor Richard Abbott says in his Foreword, “This remarkable book will be an essential reference for all British and Irish botanists who have an interest in hybrids. … No other book of its kind exists for other parts of the world and consequently this book will surely set the standard for future hybrid floras”.